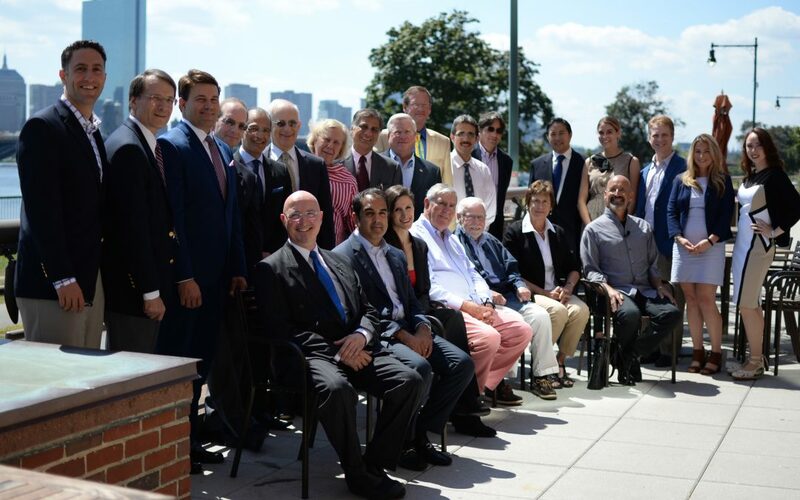 The Angiogenesis Foundation convened leading retina specialists, patients, caregivers and vision advocates to discuss the need to improve long-term outcomes for people living with neovascular age-related macular degeneration (AMD). The event was co-chaired by Dr. Rishi P. Singh of Cleveland Clinic and Diana Saville, Chief Innovation Officer of the Angiogenesis Foundation. The participants gave recommendations for improving treatment pathways for AMD and discussed solutions for better long-term patient outcomes. Age-related macular degeneration is the leading cause of blindness in people over age 50. There are two forms of AMD – wet and dry. The progression of AMD varies, but ultimately it leads to partial or complete blindness. AMD is widespread, impacting as many as 11 million people in the U.S. As the world population ages, AMD will be even more prevalent. The number of people with AMD worldwide is projected to reach 196 million by 2020. The disease can greatly impact quality of life, making it difficult or impossible to read, drive, watch television, recognize loved ones, and to live independently. Up until 2006, there was no treatment available for people diagnosed with AMD. Today, wet AMD is highly treatable with groundbreaking medicines called anti-VEGF therapies; these include ranibizumab and aflibercept. These anti-VEGF treatments work by blocking molecules that cause abnormal blood vessel growth in the eye and drive the progression of wet AMD. Anti-VEGF treatments have dramatically changed wet AMD patient outcomes by helping to prevent and even reverse vision loss in some cases. While anti-VEGF therapies have been revolutionary in the treatment of wet AMD, long-term study data is showing a disparity in patient outcomes over the long term. Without regular injections and close monitoring over the long term, patients in large follow-up studies are losing the vision gains they made in clinical trial settings. During the summit, the doctors, patients and advocates engaged in a substantive and frank discussion about the current AMD treatment landscape and areas for future improvement. Discussion topics included the differences in short-term and long-term patient outcomes, causes for these differences in outcomes, identifying barriers to the desired future state and recommended actions. The full summit and a follow-up roundtable discussion will be synthesized in a white paper and published in the fall of 2017. The Foundation will convene a patient-centered AMD summit in October 2017 where more patients can share their perspectives and experiences living with age-related macular degeneration.